The Rio's world-class amenities include more than 100,000 square feet of gaming space, hosting around 1,200 state-of-the-art slot and video poker machines, more than 80 table games including blackjack, craps, baccarat, roulette, Let It Ride, Caribbean Stud Poker and Mini-Baccarat as well as a Keno Lounge, and a full-service Race and Sports Book. 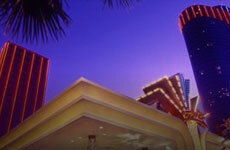 Rio All-Suite Hotel and Casino offers ways to win beyond your wildest dreams! All your favorites are here. From the latest games to the best casino classics, there's no shortage of action on the Rio's vibrant floor. Action is intense when fortunes change with the pull of a lever. 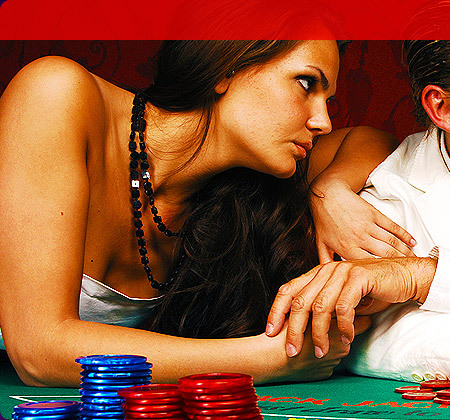 Welcome to a payout paradise with the most exciting games on the market. You'll find all your favorite slots, plus progressives and video poker in a wide range of denominations. The Rio has 1,200 slots in more than 100,000 square feet of gaming space. 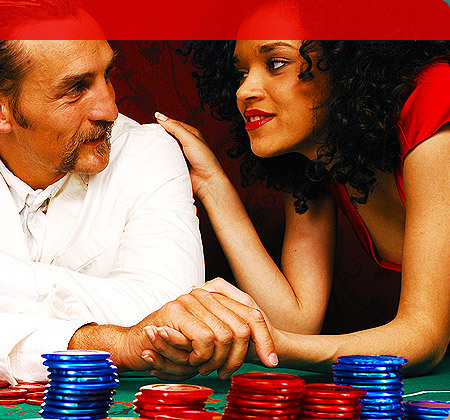 Enjoy 24-hour keno action at the Rio All-Suite Hotel and Casino! Play this fun and easy game in our Keno Lounge, or visit one of our keno stations in the Ipanema Lounge, Carnival World Buffet or Sao Paulo Café. It's all about the numbers when you play this popular game of chance. The excitement of keno lies in the thousands of possible number combinations played during each game. In each game 20 numbered balls are drawn out of 80. You may select from 1 to as many as 15 numbers. The amount you win depends on the amount of money you bet and how many numbers you got right. With non-stop action and high and low limits, even the most discriminating players are bound to find a perfectly suited hand. 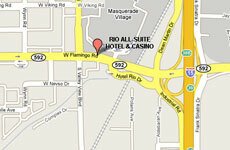 The Poker Room is located next to the Race and Sports Book. If you love the excitement of thoroughbred, greyhound and harness racing, you'll love the Race and Sports Book, offering closed-circuit broadcasts from America's top racetracks on 60 individual flat screen TVs. From straight pari-mutuel bets to more exotic bets, the Rio's Race and Sports Book offers almost as much action as you would find at any racetrack.